iPhone XR: Waterproof Or Water-Resistant? Here's The Answer! You are at:Home»iPhone»iPhone XR: Waterproof Or Water-Resistant? Here’s The Answer! You’re thinking about buying the new iPhone XR, but before you do, you want to know if it’s waterproof. This iPhone is rated IP67, but what does that really mean? In this article, I’ll explain whether the iPhone XR is waterproof or water-resistant and show you how to safely use your iPhone around water! iPhone XR: Waterproof Or Water-Resistant? The iPhone XR has an ingress protection rating of IP67, meaning it is designed to be resistant to water when submerged up to one meter for no longer than 30 minutes. This is by no means a guarantee that your iPhone XR will actually survive if you drop it in water. In fact, AppleCare+ doesn’t even cover liquid damage! 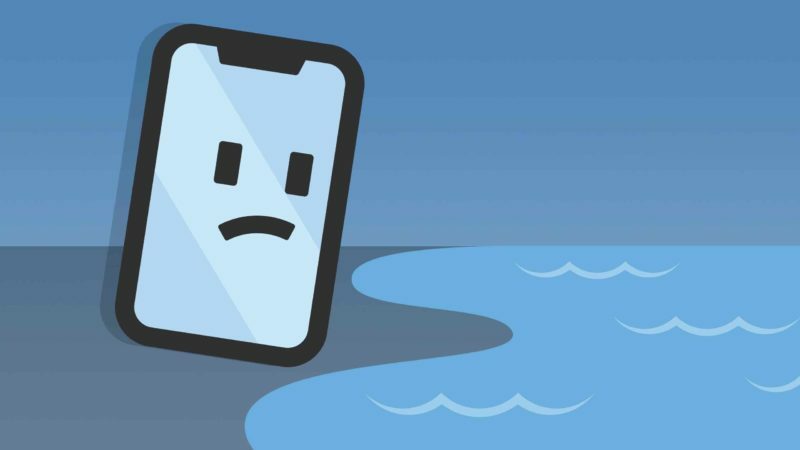 If you want to make sure your iPhone XR won’t get liquid damage when you use it in or around water, we recommend a waterproof case. These Lifeproof cases are drop-proof from over 6.5 feet and can be submerged underwater for an hour or more. What’s An Ingress Protection Rating? Ingress protections ratings help us understand how dust- and water-resistant a device is. The first number in a device’s ingress protection rating lets us know how dust-resistant it is, and the second number lets us know how water-resistant it is. If we take a look at the iPhone XR, we see that it received a 6 for dust-resistance and a 7 for water-resistance. IP6X is the highest dust-resistance rating a device can get, so the iPhone XR is completely protected from dust. IPX7 is the second highest score a device can receive for water-resistance. Currently, the only iPhones with an IP68 rating are the iPhone XS and iPhone XS Max! I hope this article cleared up any confusion you had about whether or not the iPhone XR is water-resistant. I’d like to reiterate that it’s designed to survive being submerged up to a meter in water, but Apple won’t help you out your iPhone breaks in the process! Leave any other questions you have about the new iPhones in the comments section below. Previous ArticleIs The iPhone XS Waterproof Or Water-Resistant? Here’s The Truth! Next Article My iPhone Screen Is Flickering! Here’s The Real Fix.